First impressions matter. 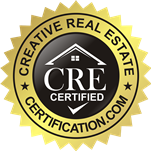 Any potential homebuyer wants a home that they can be proud to come home to at the end of the day. More than likely, if the outside of the home is not appealing, they won’t want to bother looking inside. Simple changes to the front appearance of your home can make all the difference in getting a homebuyer to consider purchasing your home. Another great way to decide what improvements should be done, is to stand outside and really take some time to examine it. Pretend that you were about to purchase the house, and had never seen it. What things would you want changed? You can also have a friend you trust stand out with you and give some honest feedback. If you don’t know where to start, here are some great ways to increase your homes curb appeal. Street Numbers: Changing out your homes street numbers is sure to make a huge difference. Consider choosing a good font, color, and sheen. Make sure you choose a font that fits the style of your home. Front Door: A freshly painted door is a must. Perhaps you should change it to a hardwood door, or change the finish to glossy instead of matte. 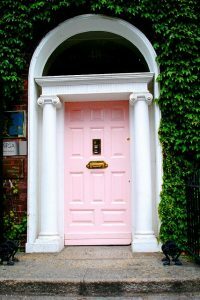 Again, you want to make sure that the front door choice matches the style of your home. 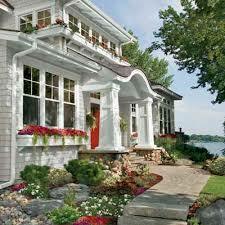 Porch Furniture: Porch furniture is a great way to add instant curb appeal to your home. This is because you want the outside of the home to look invit ing, and this is a great simple way to achieve that. Porch Lighting: Lighting is very important when it comes to a homes curb appeal. Consider updating lighting fixtures. Perhaps you should use sconces, a pendant light, or recessed lighting. There are endless choices when it comes to porch lighting, but the important goal is to make sure that the lighting is updated, and matches the homes theme. Hardscaping: Perhaps your home needs a new driveway or some concrete built-in planters, or a new pathway. While these changes are much more of an investment than the other ideas on this list, they should be seriously considered if your current driveway or any pathways are uneven, or missing altogether. Side Yard: It is essential to have a kept side yard; perhaps you need to add attractive fencing, clear out any weeds, or add a new pathway to the back yard. Whatever the need be, it is imperative that the side yard is neat and clean. Front Lawn: The importance of a nice front lawn is obvious. Instead of having a bare front lawn, consider planting fresh flowers. This will, again, make the home look more inviting. The Garage: The appearance of the garage door is just as important as the front door. If you need a new garage door altogether, or if it just needs fresh paint, it is important to do so. You don’t want a freshly painted door, and a garage with chipping paint. 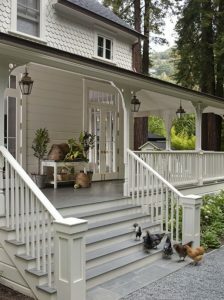 For further reading, see: 10 Ways to Add Curb Appeal, and, Seize the Season: 12 Upkeep Ideas to Add Curb Appeal. Are plants really that important? Our yard is manicured, however, we don’t have flowers. Should we plant some? Hi Marcy. Plants are important. The reasoning behind this is that plants add color, which in turn adds some ‘life’ into the front of the home. If you cannot plant flowers, it would be a good idea to get a colorful (yet tasteful) door mat, and some nice pillows for the furniture, etc. The point is the make the home look inviting rather than bland. There are lots of suggestions on TV shows, and in magazines. Check them out!